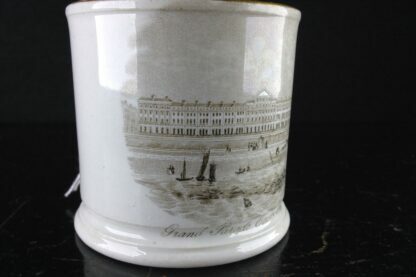 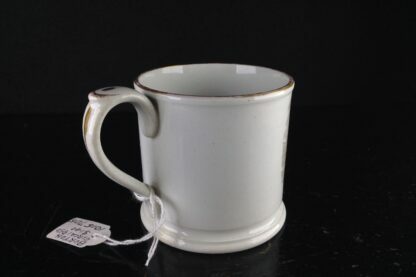 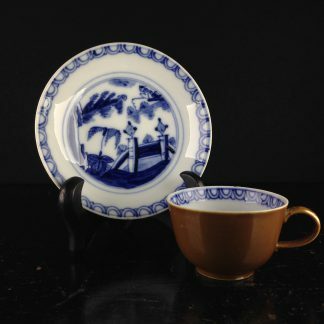 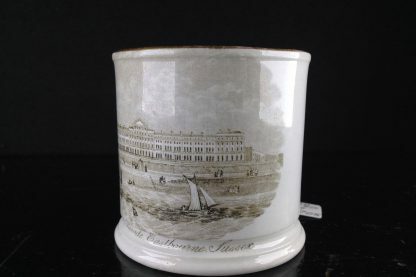 Small pottery mug, printed to the front with a wide Georgian promenade by the seaside, titled ‘Grand Parade, Eastbourne, Sussex’. Marked ‘BURTON / Eastbourne’ , circa 1850. 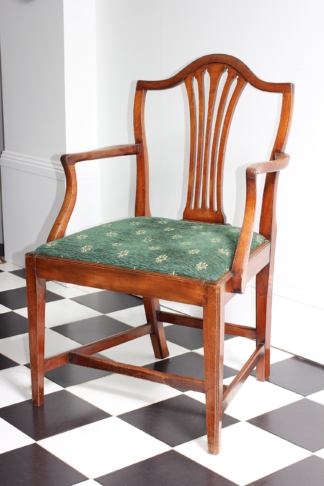 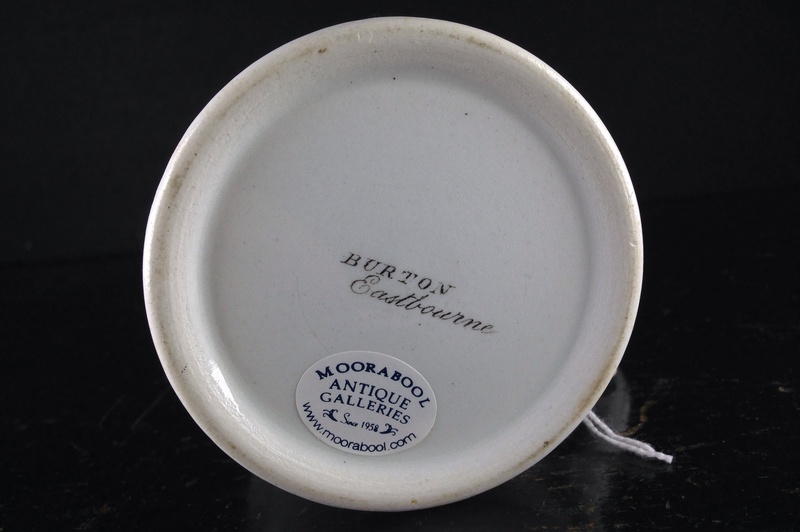 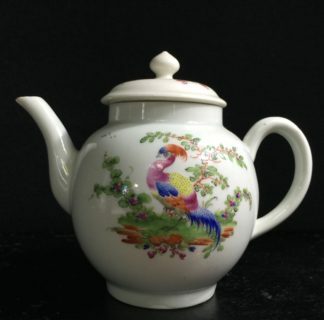 Burton was presumably a retailer in Eastbourne, and had these made in Staffordshire as a souvenir item.